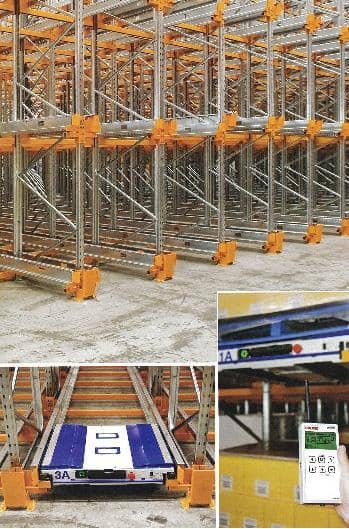 A radio-controlled, battery-powered independent shuttle unit travels along rails that support pallets above. 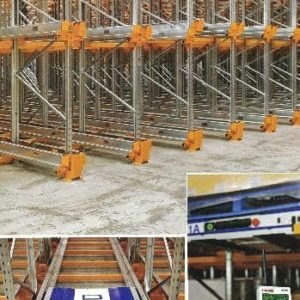 The shuttle travels below the pallet, then elevates a pick-up table that lifts the pallet from the support rails and carries it to the front of a rack. From the front of the rack a conventional forklift truck can select the shuttle from its rails and move it to another location.